Now that you’ve gotten a taste for the benefits of analyzing algebraic mistakes, it’s time to explore a second common mistake. This one is so common that nearly every student commits it at least once on the road to algebra success. As you watch the video, notice how by thinking hard about two expressions, we can think this mistake through to its very root, thus discovering the core difference between two similar-looking algebraic expressions. And along the road, we’ll learn a general strategy for decoding the meaning of algebraic expressions. What I like about this strategy is that you can use it to understand the meaning of pretty much any algebraic expression, and you’ll see that it’s not a hard thing to do. In fact, it just involves using numbers in a nifty way. 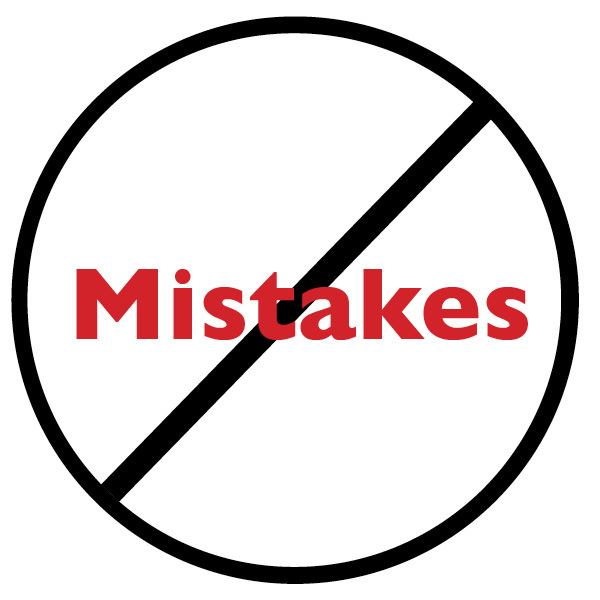 This is the fifth in a series of posts on how to help students make fewer mistakes in algebra. and I have described some of the ways that students can use it. I’ll continue the conversation by showing how this notation can help students combine like terms with greater care. As a tutor, I’ve long felt this way about a negative sign before parentheses. It’s a small thing, and it seems simple to grasp to those who get it. Yet students make so many mistakes when facing this situation, so to them it’s extremely irritating! Q: So, what’s the opposite of black? She wrote: (light, down), sighing. Then I explained that in math we express the idea of “opposite” with nothing more than the negative sign. She was still giving me that “this-is-so-easy-I-could-die” kind of look. When I thought about that, I realized it was good! Next I explained that in math, just as in real life, there are opposites. And we find mathematical opposites by examining signs. For example, the opposite of 5 is – 5; opposite of – 3/4 is 3/4; opposite of – 3x is 3x; opposite of y is – y, and so on. And so on … one success after another. The concept was sticking. And best of all, she had a conceptual framework — the concept of opposite — that she could “lean against” any time she got stuck. The longer I tutor the more I realize that this kind of conceptual framework — a story or concept we know from everyday life, which relates to the algebra in a direct way — is a big key to helping students grasp algebra. 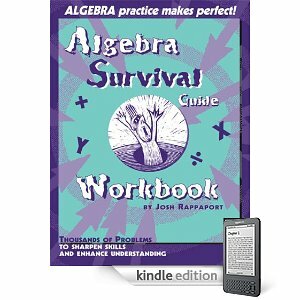 I use these kinds of stories in my book, the Algebra Survival Guide, providing stories we know from everyday life, which serve as analogies that show how the math works. For example, in the Guide I use a “tug-of-war” analogy to show how you solve problems like: – 3 + 8. I’ve had so much success with this “story”-approach to algebra that I am working on an eBook that provides a whole litany of stories that work for algebra. It is fun to work on, and kids like this approach because it gives them a new way — an everyday way — to relate to the math. So in any case, my suggestion is that when you teach or review the concept of negative signs before parentheses, you might just try the “opposites” approach and see how it works with your students. How to Find the LCM – FAST!!! Ever need to find the LCM (same as the LCD) for a pair of two numbers, but you don’t feel like spending two hours writing out the multiples for the numbers and waiting till you get a match. Of course you need to do this — a lot! Example: whenever you add fractions with different denominators you need to find the common denominator. That is the LCM. Here’s a quick way to do this. The only way to teach this is by example, so that’s what I’ll do — by finding the LCM for 18 and 30. Step 1) Find the GCF for the two numbers. For 18 and 30, GCF is 6. Step 2) Divide that GCF into either number; it doesn’t matter which one you choose, so choose the one that’s easier to divide. Choose 18. Divide 18 by 6. Answer = 3. Step 3) Take that answer and multiply it by the other number. … because the answer you just got is the LCM. It’s that easy. Note: if you want to check that this technique does work, divide by the other number, and see if you don’t get the same answer. PRACTICE: Find the LCM (aka LCD) for each pair of numbers. Once you learn this trick, have fun using it, as it is a real time-saver!